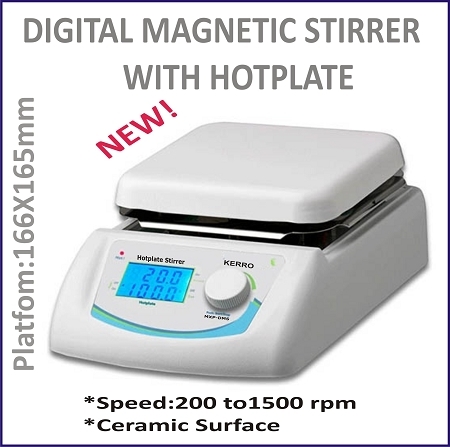 KERRO hotplates, stirrers and hotplate-stirrers feature an exceptionally durable, chemical resistant, white ceramic work surface. Their space-efficient design (7 x 10.5 inch. footprint), makes them ideal for use on crowded benchtops and inside bio-hoods. Ceramic work surface, 6.5 x 6.5 inch.